Two more days until Valentine’s Day. Let’s do a quick recap of what I made for that special day this year. 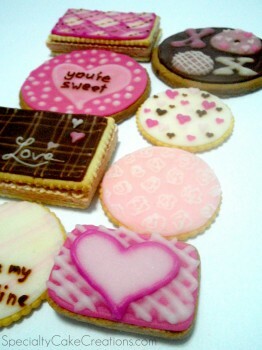 We started with this cookies set that was inspired by a free Valentine’s Card print out made available by SweetMuffinSuite. If you are still looking for some cards for your kids to bring to school, why not hop over there to print them right from home. Next up, I put a little tutorial together for you on how to make red velvet cake. I believe there is no better holiday to try out this colorful Southern specialty than Valentine’s Day. Are you intimidated by the whole process of baking and decorating cookies? 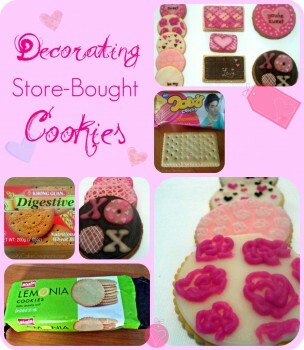 I let you in on a trick how you can skip the baking part and can focus on letting your creative juices flow while decorating. 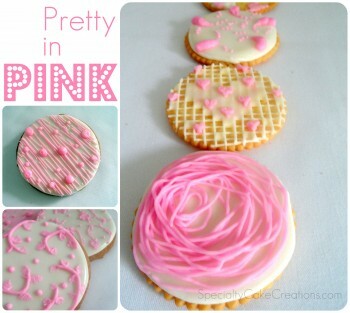 And just recently I decorated these small and big round cookies with a pink-on-white theme. I used a lot of different patterns, so maybe at least one can inspire you too. 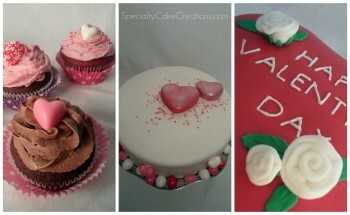 If you don’t have enough of all the Valentine’s treats yet, you can check out my creations from last year. Maybe you are not so keen on Valentine’s Day. After all, aren’t we supposed to show love and affection any day of the year? I just like to take it as a reminder of Jesus’s commandment to love; and not just one day but always.